Vitamins and minerals, vital elements that our bodies need to develop and function, play a unique role in maintaining our health. Many of us with good intentions often do not meet the recommended daily requirement of multiple servings of a variety of fruits and vegetables, making it difficult to obtain all the vitamins and minerals we need through diet alone. We tend to consume foods that are high in calories but lack the nutrients necessary for good health. 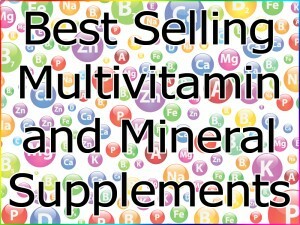 One way to ensure you are getting the vitamins and minerals your body needs for optimum health is through the addition of high quality nutritional supplements. Dietary supplements are intended to compliment a healthy diet, address a deficiency in the diet or to strengthen the body as a whole. Modern science has provided us with exceptional supplements that contain a variety of vitamins, minerals, botanicals, herbs, amino acids and micronutrients in bioavailable formulas. They are intended to help the body function smoothly or can support a specific area of the body’s health and wellness. Phytomulti without Iron by Metagenics – This exceptional product contains a proprietary blend of ultra-concentrated plant extracts and full spectrum phytonutrients with scientifically tested biological activity for multidimensional cell support. This 5 star rated customer favorite is also available with iron. Alpha Base Caps without Iron by Ortho Molecular – Rated 5 stars by our customers, this formulation contains superior quality vitamins and fully reacted minerals for efficacy and optimal absorption. Manufactured to the highest standards, this multivitamin and mineral formula is suitable for life-long nutritional support. Basic Nutrients III Citrate Formula without Copper and Iron (VM6) by Thorne Research – Long term customers of this exceptional product report a high rate of satisfaction and excellent results. This comprehensive product is formulated with pure, bioavailable essential nutrients and minerals and is suitable for individuals who wish to avoid supplementing with iron or copper. Nutrient 950 without Iron by Pure Encapsulations – Customers report a high rate of satisfaction with this complete hypo-allergenic, nutrient rich, highly bioavailable product. Well tolerated by sensitive individuals, this multivitamin and mineral formula contains superior mineral cofactors, activated vitamins and antioxidants for optimal nutritional support for all body systems. Ultra Preventive X Vcaps (200574) by Douglas Laboratories – With a proprietary blend of organic phytonutrients, patented vitamin D, and proper proportions of vitamins, minerals and trace elements, this 5 star rated product contains essential nutrition for optimal health. This entry was posted in Home and tagged Alpha Base Caps without Iron by Ortho Molecular, Basic Nutrients III Citrate Formula without Copper and Iron (VM6) by Thorne Research, Best Selling Multivitamin and Mineral Supplements, Nutrient 950 without Iron by Pure Encapsulations, Phytomulti without Iron by Metagenics, Ultra Preventive X Vcaps (200574) by Douglas Laboratories. Bookmark the permalink.